Hardware drivers these days uses loadable Kernel module (LKM). So I simply listed all kernel modules and searched for anything that was described as touchscreen. Note that hid_multitouch module … that is possibly what we are looking for. Seems legit, as the description clearly says it’s for HID multitouch panels. We could try to remove this hid_multitouch to see if that disables touchscreen. Oct 19 10:58:35 kali /usr/lib/gdm3/gdm-x-session: (**) Option "fd" "46"
returns nothing, which is exactly what we wanted. Now this is still temporary. Next time I restart my laptop, it will load this hid_multitouch module again. To stop this Linux kernel module from auto loading, we need blacklist it. Save the file and reboot, hid_multitouch module will not be loaded next time. You can follow the same process to disable / unload Linux Kernel modules or blacklist Linux Kernel modules. 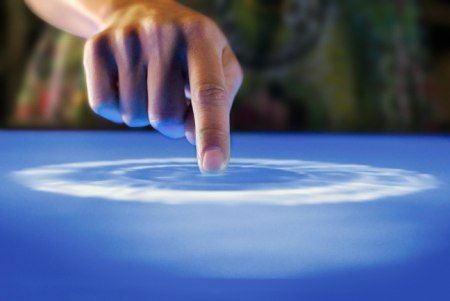 This guide explained and concentrated on how to disable touchscreen in Linux. But as you can see, you can disable almost any modules similarly. Just do it temporarily first and you’ll be pretty safe on a single user machine. So maybe have other fixes for this vuln ?